If stories have a colour, this one is yellow. For the lemons, the sunshine, and the warm summer days. 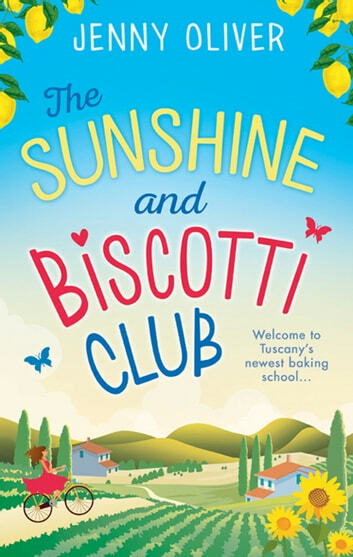 Everything about this book screams 'holiday read', even if the characters' lives aren't all smooth sailing. I didn't find all of the storylines predictable, and I wasn't entirely sure who would end up with whom, or how the HEAs would be reached - which is something I definitely valued. 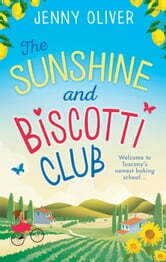 Recipes are a big part of the book, and I would have loved to have seen some listed at the end so I could capture some of The Sunshine and Biscotti Club in my own house. I enjoyed all of the characters but found Libby and Jessica a bit same-y. I could read their chapters without really knowing which one of them I was with. I would read a sequel, though - I think they'd all be fun to be around at Christmas. I love their shared history, and the memories each held of when they were younger. The book is a fun, easy read, not too taxing and great for relaxing with. The part that has actually stayed with me, though, is a little deeper - the idea that no one else judges you as harshly, watches as closely, berates you as much as you judge, watch, or berate yourself. I received a free copy of this book from NetGalley in return for an honest review. Felt like I was on my own Italian summer holiday. Transported me back to my own Italian trips. Would read more by thus author.